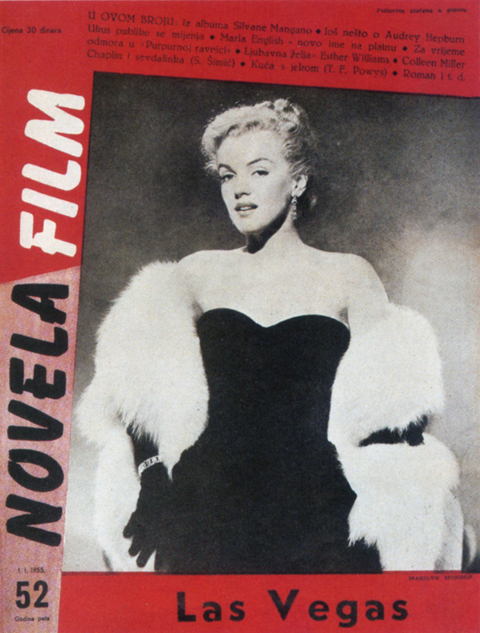 These covers are taken from the book Marilyn Monroe: Cover to Cover. 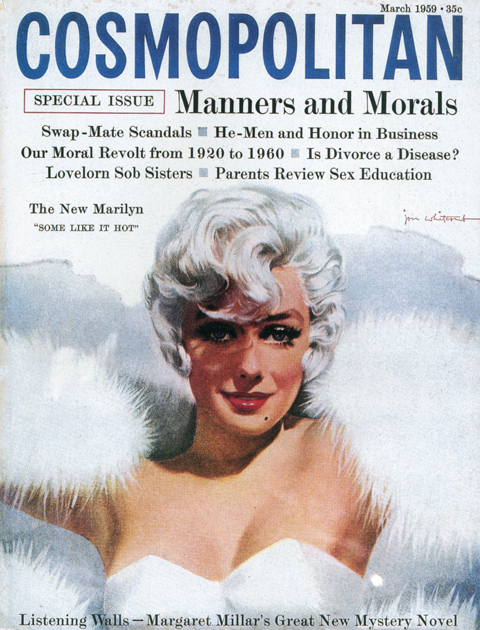 It was published as basically a collectors guide, featuring a comprehensive, chronological survey of magazine covers featuring Monroe. At first it seems like a janky, quickie affair, a slim paperback with a shabby downmarket cover design. Actually, it turns out to be extremely rewarding read. 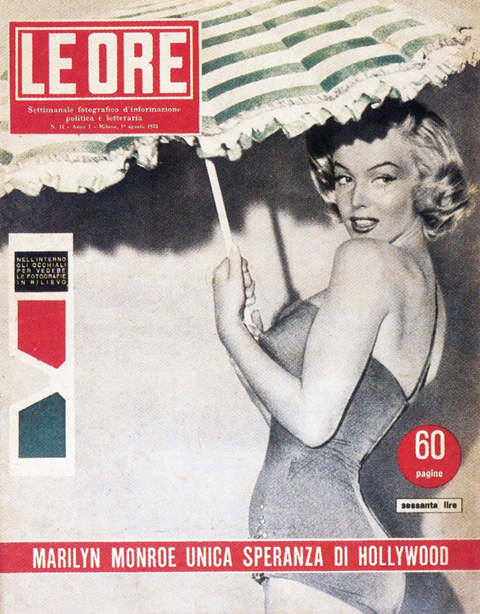 Its considerable cultural and aesthetic interest derives from seeing the visual evolution of both Monroe herself and magazine design in general. 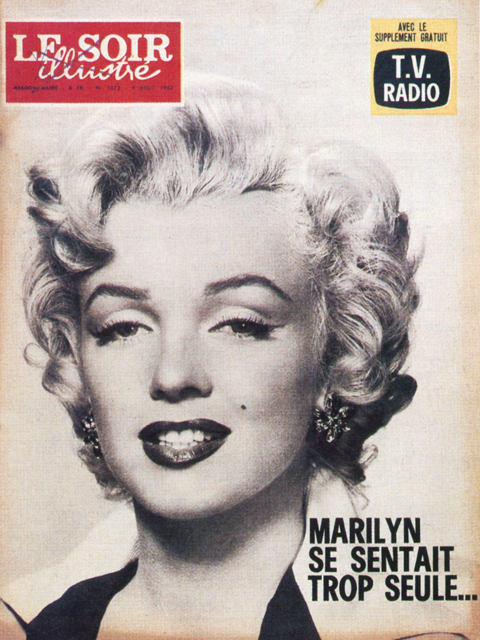 There is something in the direct, immediate nature of magazines that makes the images more vital and nuanced than the usual, canonical, perpetually reproduced “Stations of Marilyn Monroe.” In Cover to Cover it’s fascinating to watch the fluid transitions in lesser known photos from ingenue to pinup to starlet to studio player, to star, to personality, to icon. 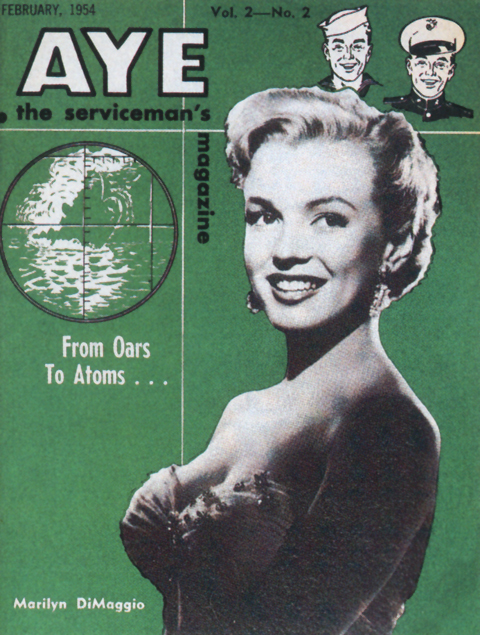 The book also makes a real significant contribution to the record of magazine design. 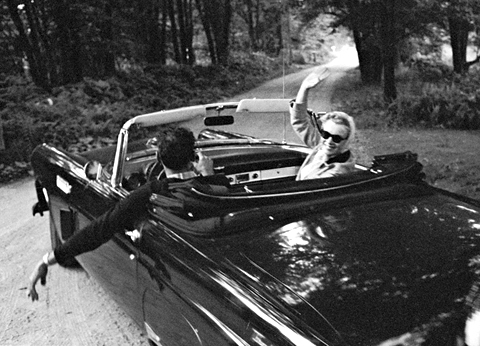 It’s a surprisingly far flung, international collection, spanning the late 40’s to the early 60’s. 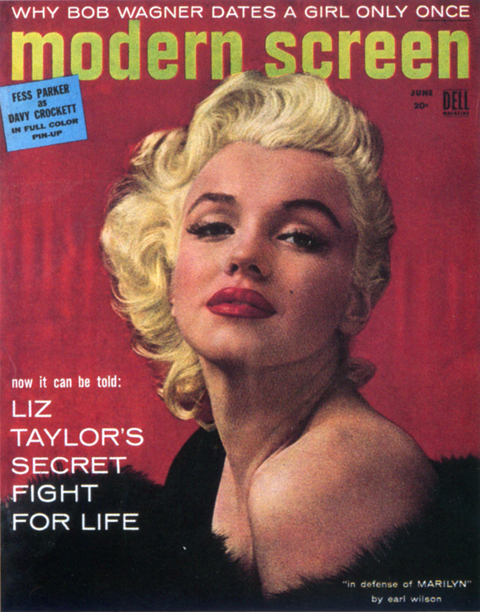 It documents many distinct, cool modes – spare, modernist, highly graphic tabloids and newspaper inserts; roughly composed semi-professional fanzines; lush lurid highly-saturated Hollywood gossip rags; and high-circulation general interest slicks. What’s really impressive, lasting and artful is when the best of both intersect – when an indelible image is pared with a striking layout, like in the examples above… The book, now out of print, can be had, here. 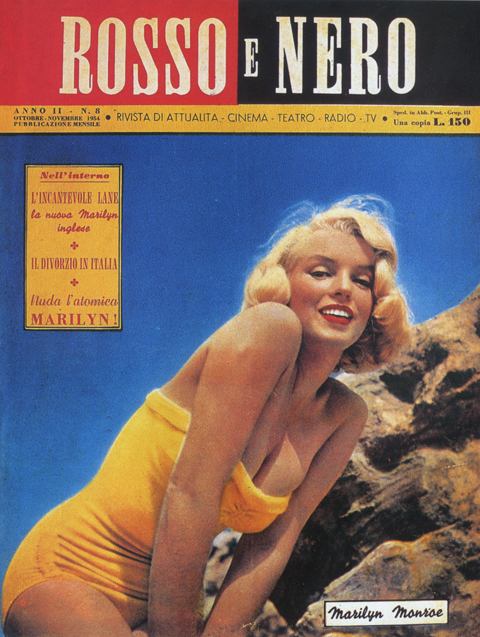 It should be no great surprise that Marilyn Monroe slinks around the pantheon here now and then. 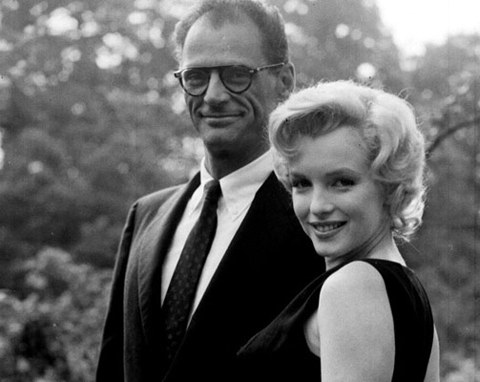 And I’ve long harbored a particular fascination with the period surrounding her marrige to Arthur Miller. I mean, anyone looking for a rich core sample of American society, celebrity, high & low culture, etc., could do a lot worse. 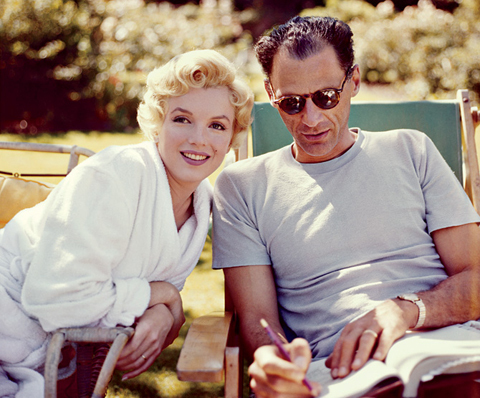 Recently the New Republic ran a review of a new bio of Miller assessing the notion that the Monroe marriage shattered Miller as a writer. Absorbing cultural analysis in its own right, the review also reminded me of the singular style of the images recording that surreal union.